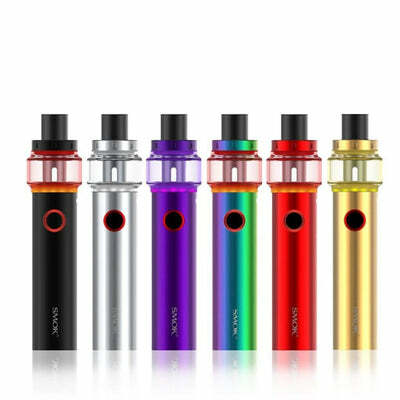 How To Choose a Vape Device? So, the time has come. You're ready to start vaping. By now, you've had a chance to educate yourself, weigh the pros and cons, and decided that switching to vapor products is the way to go. Still, one question remains: how do you choose what type of vaping device to get started on? In this piece, we'll cover all of the ways you might opt to vape, from the most basic to the hottest new tech. Let's start with a rundown of all your options. 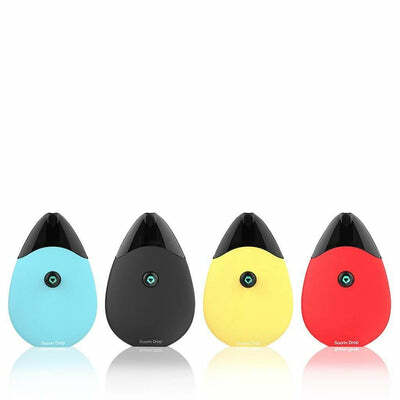 Cigalikes are the most basic of vapor devices and also the most readily available. A portmanteau of "cigarette" and "alike," these devices are about the size of a combustible old-fashioned cigarette. Cigalikes don't need to be refilled with e-liquid, don't need to be turned on or off—some of the simplest disposable models don't even require battery charging. This is about as close as it comes to a grab-and-go vaping experience, though in the long run the experience tends to be both costly and for most people it'll fall short of being satisfying. Typically disposable and easy to dispose of. 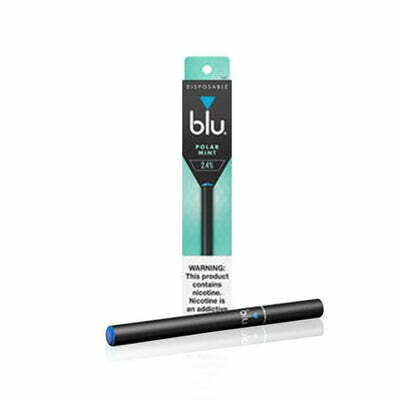 Vape pens are the size of a small permanent marker (hence, the "pen" moniker). You'll often hear them referenced by the proprietary name "eGo" even if they are not actually that particular brand. While still a beginner-friendly device, pen vapes are good in that they allow you to choose your own e-liquid and re-use your hardware many times over to save on replacement costs. With pens, you can even begin experimenting with adjusting the power on your device to find the "sweet spot" for your favorite flavor and throat hit. While the popularity of the vape pen peaked a few years ago and they're not as common as they once were, the device still has its devoted fan base. One of the most simplistic things about this option is that you'll only have to fill them with liquid and they are ready for use. Pod mods could be thought of as the next-generation cigalike, since they offer both improved performance and a wider variety of styles. Offering a considerable improvement over cartridge-style cigalikes, pod devices are also designed for simplicity, with no buttons to push and no adjustments for the user to make. These come in both "open" and "closed" system styles, which allow you to choose your own liquid to fill your pod with or to purchase sealed disposable pods that have already been filled. With disposable pods, you simply snap it onto a battery to start vaping. Clicky clicky for the complete pod system rundown. Vape mods are a wide category that defies simple definition, except to say that devices in this group don't readily fit into any other. The term "mod" is short for "modified," and comes from a time when vapers had only two options: using poor-performing cigalikes or tinkering around to modify some other electronic device to be used as a makeshift vape. Mods can be so rudimentary that they're risky for a beginner. Or they can be so sophisticated that they've got enough fail-safes to ensure anyone can dial in the perfect vape with neither risk nor effort. One thing advanced mods all have in common: they deliver a vaping experience that's superior to any other style of hardware available on the market. This is where most people who stick with vaping will eventually land. Keep in mind that mods alone cannot produce vapor they require a tank with an atomizer in order to produce vapor. We will cover tanks and other options to pair up with your mod in future vape guides. "Okay self," you might say to yourself, "this is all well and good, but I'm still lost. All of these sound like good options in some ways, but I can see that they've all got drawbacks too. Which one's right for me?" You've discovered that vaping's greatest blessing is also its biggest frustration—there are lots of choices and no one right answer for everyone. Most of us will try devices from more than one of these categories before settling on our one true love. So if you start the process with that expectation, it might take some anxiety out of making a choice. That said, we’ve been around the vaping block many, many times, so our goal here is make things a little easier for you to pick the best vape for you. Are you still somewhat on the fence about whether vaping is for you but want to give it a try? Consider starting with a cigalike or closed-system pod mod. These are the simplest, most stress-free options in the vaping world and they won’t break the bank. You'll get an idea of what vaping is all about, and even if the device isn't exactly what you were hoping for, you'll have a low-cost way of trying it out so you can decide whether it's worth investing in a better product down the line. All in on vaping, but not excited about learning new tech while also dealing with the demanding task of stopping smoking? A pod mod might be a good bet here. Regardless of whether you choose closed- or open-system, the maintenance factor is still going to be minimal, and these devices come closest to mimicking an actual cigarette in terms of the physical feeling and experience. And that's exactly what many smokers need to get over the initial hump. Not intimidated by the tech, but want to buy the right device the first time? A regulated mod, or Advanced Personal Vaporizer (APV) is just the ticket. You'll spend a few days experimenting with the settings, but once you've got things dialed in, you can rest easy knowing you've got the best vaping experience available and the widest access to flavor choice, without any more hardware to buy later on. It’s also the most cost effective way to vape in the long run. Again, not every device is perfect for every vaper, and many of us have more than one favorite. Many advanced mod aficionados, for example, keep a second, simpler device on hand for commuting or a night out on the town. Don't worry if your first device isn't a match made in heaven; there's a good chance you'll pick it up in a few months and find something new to love about it that you hadn't noticed before. And having a backup (and a backup for your backup) is always better than relapsing to smoking if you've got nothing handy to vape.